CLTA’s Annual Membership Meeting was held in Boston, MA during the ACTFL’s Annual Conference on Saturday, November 19, 2016. The meeting kicked off with a reception – many thanks to the sponsors for the wonderful meal. CLTA’s President, Helen Shen, started the meeting with a warm welcome and expressed her appreciation for the membership’s support and for the support of CLTA’s Board of Directors. The 2nd CLTA International Symposium on Chinese Language Teaching and Learning was held on April 1-3 at the University of Maryland, College Park. 300 people were in attendance, which included 2 keynote speeches and 2 plenary speeches with book exhibitions, 130 paper presentations, 10 workshops and 20 teaching demonstrations, and an information session. As a result of the recent CLTA poll, a majority of the members voted to hold CLTA annual conferences independently. The tentative plan is for the conference to be held in April 2018 in Washington, D.C. Once more details are available, they will be disseminated to the CLTA membership. The Steering Committee reported that it established 12 special interest groups and created the publication of the CLTA monograph in 2017. Also, Professor Janet Xing of West Washington University was appointed to serve as the new JCSL Editor. Afterwards, the Committee Chairs each took a minute to report to the CLTA membership the tasks and goals of each committee. For this year’s ACTFL/CLTA Annual Conference, CLTA accepted 50 sessions and 58 papers. Effective January 1, 2017, there will be a membership rate increase across the board. Four new Board Members were elected to the CTLA Board, which include one K-12 teacher and three higher education teachers. CLTA now has 10 regional member associations. This year also marked the initiation of CLTA’s National Collegiate Chinese Honor Society. 31 candidates from 10 institutions were induced to the Society. In closing, CLTA President Helen Shen acknowledged the outgoing Officers and Board Members: JCSL editor, 2 Officers and 4 Board Members. She then closed the meeting by welcoming the new 2017 Steering Committee, the 2017 Board of Directors, and the 2017 CLTA President Chaofen Sun. 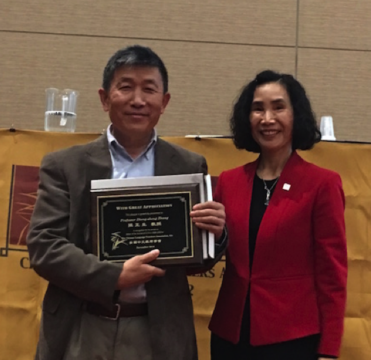 Figure 2: Prof. Zheng-sheng Zhang received a plaque of appreciation from Professor Helen Shen, the 2016 President of CLTA, for his 8-year service as the JCLTA editor. 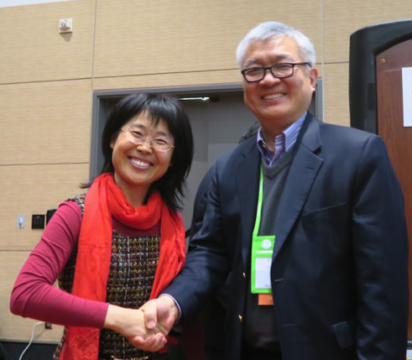 Figure 3: Ms. Ruihua Liu was awarded the 2016 Action Research Grant. 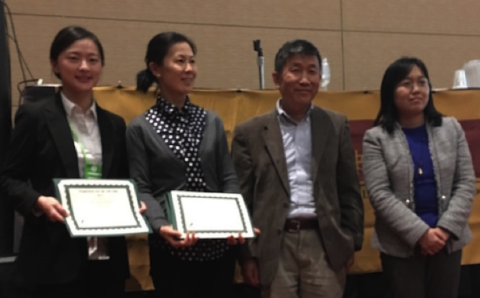 Figure 4: Zhuo Jing-Schmidt, Xinjia Peng and Jing-Yun Chen received the best article prize from Ms. Xiaoxia Deng (first on the right) of the Peking University Press.